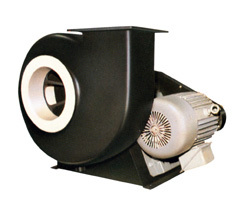 Industrial fiberglass fan blowers, centrifugal and axial FRP blower fans, oven high temperature blowers. Roof and wall exhaust and supply fiberglass fan blowers, power ventilators and FRP fans. Stock of tubeaxial & vaneaxial inline duct fans, blower and fan repair / balancing, replacement centrifugal and axial fan blades, axial duct fans, aluminum pressure blowers, FRP ventilators, dust collectors blowers fans, dust collection fan ventilators, high temperature oven circulation fans, explosion proof ventilatoprs, spark reistant fans and blowers, induce & force draft fans, fan blower impellers. 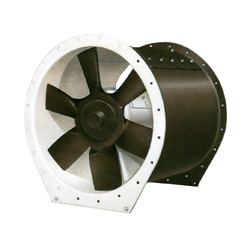 Distribution of industrial high temperature fan blowers. Suppliers of Buffalo Blower industrial; process and commercial heating; ventilating and air handlers. - Different fan accessories: inlet bell with guard, silencers, dampers, mounting feet, protective coatings. - Exhaust and supply process fans. Industrial high temperature oven circulating fan and high temperature exhaust ventilators. Sales of centrifugal and axial super high temperature plug fans and air kits. Replacement high temperature fan and blower wheel blades.